A new yoga studio has opened its doors in the neighborhood. Located at 3110 N. Sheffield Ave. in Lakeview, the fresh arrival is called Yoggic. 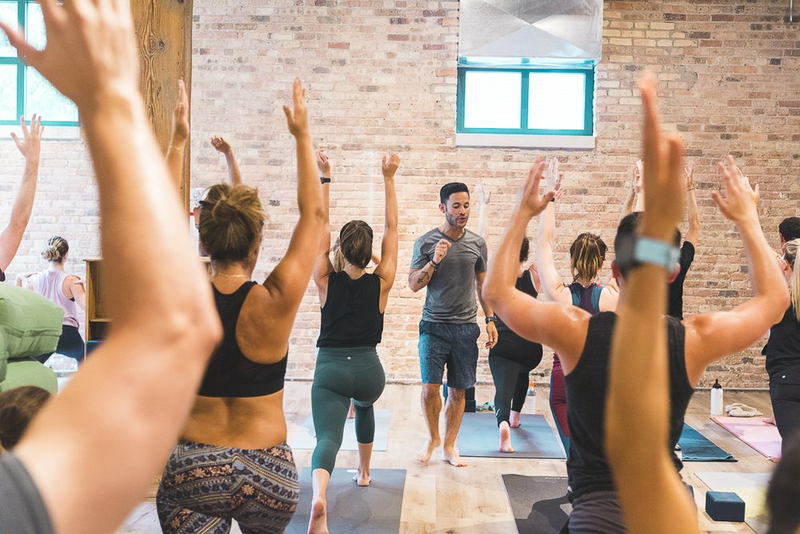 Founders Gerard Sanchez and Jesus Villanueva left corporate careers to establish Yoggic with the belief that "everyone and anyone should have access to the power of yoga," the studio explains on its website. The studio offers classes for all levels, including Journey into Power, a heated, hourlong vinyasa class; the tranquil and candlelit Power Detox; and Power Beats, its signature power flow class. Check here for membership and pricing information. Yoggic has received three reviews on Yelp, which gives it a five-star rating thus far. Vanessa R., who reviewed it on Aug. 7, wrote, "One word to describe this place, the owners, the studio, the practice and everything else: Amazing! Keep it up guys!" And Yelper Frank William S. added, "I highly recommend practicing here. The owners and instructors always make me feel welcomed and the instructors will elevate your practice." Swing on by to take a peek for yourself: Yoggic is open from 6 a.m.-9:30 p.m. on Monday-Thursday, 6 a.m.-8:30 p.m. on Friday, and 8:30 a.m.-5 p.m. on weekends.